Whether you need USGBC Credential Maintenance credit, AIA (HSW) Learning Units, or NSPE Professional Development Hours for Engineers - we've got a course for that. Hundreds of approved continuing education hours are available in the GBES library. Once you buy a block of hours, visit the Course Library to add courses as you need them - your credits never expire. 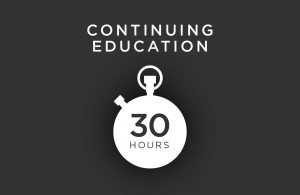 Add Continuing Education hours to your account now. It is a credit-based system that let’s you buy now, and pick later. Then access our catalogue online whenever and where ever you need them. Our Any CE Hours Packages give you the same great price of a bundle, and lets you choose the courses yourself. Pick the green building topics that interest you most. The credits never expire and we’re always adding new courses to our selection with the latest topics and industry trends. The GBES Course Library contains over 140 hours of relevant information on green building best practices and LEED case studies. All courses are AIA (HSW) approved, and all courses are either LEED Specific or LEED General Hours that support the LEED credentials. The smaller package of 3, 6, 15, and 30 hours can support what you need now – to complete courses for this reporting period’s upcoming deadline. Or consider the 60 Hour or Unlimited CE Package to plan for future reporting periods. Since the credits never expire, you can lock in our great price now, and choose the course you want as you need them. Try downloading as MP3 to listen on the go. Keep up your LEED credential your way – with the specific courses you want. Watch this video to see how to use your hours to select individual credits.